Many horrified commenters vowed never to use a hand dryer again. Others ridiculed what they called unscientific fearmongering. No one’s sample came back clean, a foregone conclusion given that a petri dish opened in any nonsterile room will collect microbes from the air. But when Ward returned to class with a dish that she had put in an enclosed Dyson hand dryer in a women’s restroom, the colonies of fungi and bacteria that had grown in it outstripped anything her classmates had found in their chosen locations. Without further testing, which the class did not do, it is impossible to say whether the organisms in Ward’s petri dish were harmful to humans. But when she posted a photo on Facebook at the urging of her classmates, more than 500,000 people shared it in a matter of days. Many horrified commenters vowed never to use a hand dryer again. Others ridiculed what they called unscientific fearmongering. Ward, who is taking the microbiology class as a prerequisite for a nursing program, said she had even received death threats. Whether hand dryers spread pathogens is a matter of dispute among scientists. 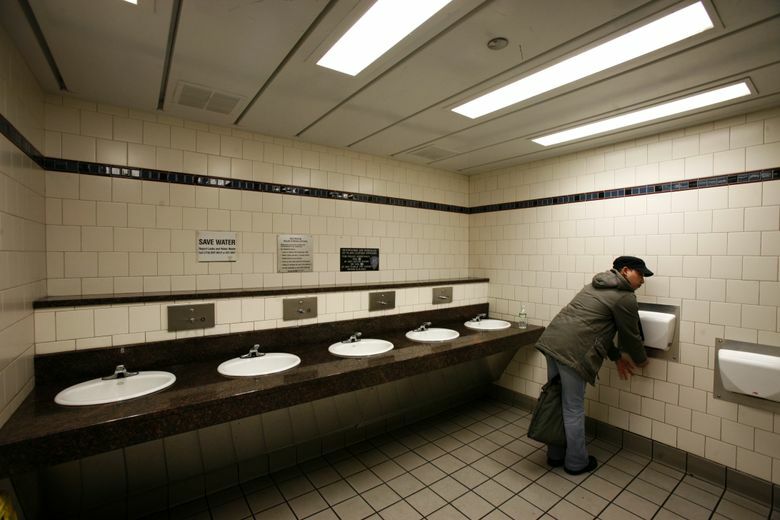 “The hot air will kill the bacteria on the hands, but some studies have found they will also deposit bacteria in the restroom on your hands — i.e., from the air,” said Charles P. Gerba, a microbiologist at the University of Arizona. A similar study in 2014, using a bacterium instead of a virus, found that jet air dryers spread 4.5 times as much bacteria as warm air dryers, and 27 times as much as paper towels — but the study was paid for by a trade association for paper manufacturers. Another study published in 2010 found that jet air dryers resulted in fewer bacteria on the hands than warm air dryers — but it was paid for by Dyson.